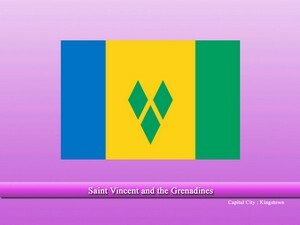 Saint Vincent and the Grenadines or simply Saint Vincent is an island country located in the Caribbean Sea, Atlantic Ocean. 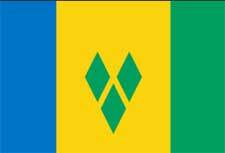 The country was once part of French and British colonies. Today, the country is independent consisting of several islands and is known for exotic beaches, resorts, harbors, coral reefs, and volcanic mountains. The islands were inhabited by native “Caribs” prior to the arrival of the European. These people were living peacefully and were dependent on fishing, farming, hunting, etc. French was the first to claim the island and established a colony. After the French defeat in the “Seven Years War”, the islands were annexed by the British. The colonists also introduced slaves to the islands and were forced to work on sugar, tobacco, etc. plantations. The natives, unfortunately, were either killed or exiled from their lands. The country gained its full independence from the British in 1979 and is independent since. The country is made up of 32 islands and only 9 of them are inhabited. Agriculture and Services are the two main economic sectors of the country. Agriculture is done since the colonial times due to suitable conditions and has produced quality and best products e.g. bananas, coconuts, etc. Tourism also plays a crucial role in uplifting the country’s economy. 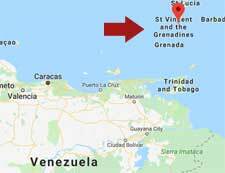 Vincentian Creole is the most widely spoken language on the island but, English is declared as the official language and is used for all official, education and communication purposes. In terms of religion, the majority of the islanders follow Christianity. In which direction we should keep god? how to come out all problems with vastu?